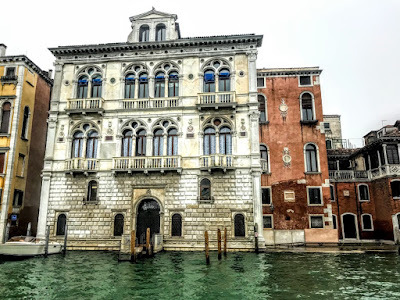 Earlier today, I was writing about the joys of using public transport in Venice, and four palaces I had seen along the Grand Canal: the Palazzo Bembo, the Palazzo Santa Sofia also known as Ca’ d’Oro, the Palazzo Cavalli-Franchetti and the Ca Rezzonico. But there were many more palaces and fine works of art to notice during my visit to Venice last week. 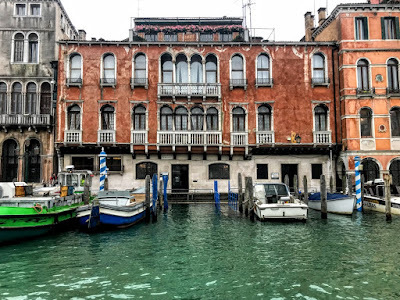 This afternoon I was to introduce four more palaces on the Grand Canal: the Palazzo Contarini Fasan, the Palazzo Capello Malipiero, the Palazzo Cavalli or Palazzo Corner Martinengo Ravà and the Palazzo Corner Spinelli. 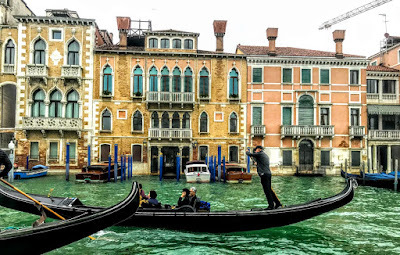 Every building on the Grand Canal of Venice seems to have its own stories and legends. 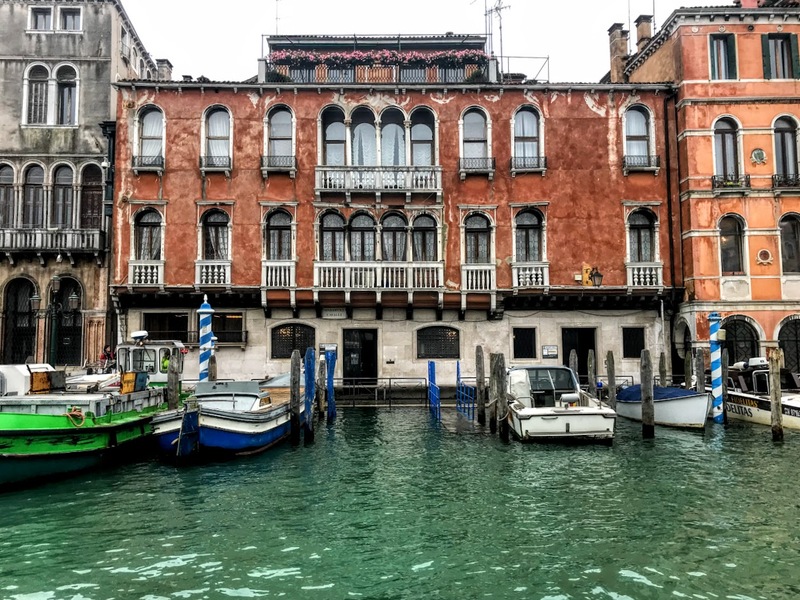 Facing the Basilica of Santa Maria della Salute, the beautiful Palazzo Contarini Fasan is said to have been the home of Desdemona, in Shakespeare’s play Othello. But his story a little different to the story told by Shakespeare. Contarini’s wife, Palma Querini, was extremely exasperated by the terrible jealousy of her husband and returned to her original family. He was then accused of trying to strangle his wife and was killed. While Moro was leaving for Crete in 1508, it is said, his wife died in mysterious circumstances. Legends aside, this small, beautiful, Gothic palace has elegant balconies and fretwork design. It is regarded by many as one of the highest expressions of Venetian Gothic architecture, and is built on three levels. The ground floor has three small rectangular windows but has no access to the water. On the first floor, there is a pointed six-light window with a balcony, whose openings are supported by white stone columns. On the second floor there are two small single ogee windows, and under a small square opening there is a large coat of arms of the Contarini family in bas-relief. The top of the façade is crossed by a jagged cornice, below which traces of 15th-century frescoes that once decorated the surface can still be seen. 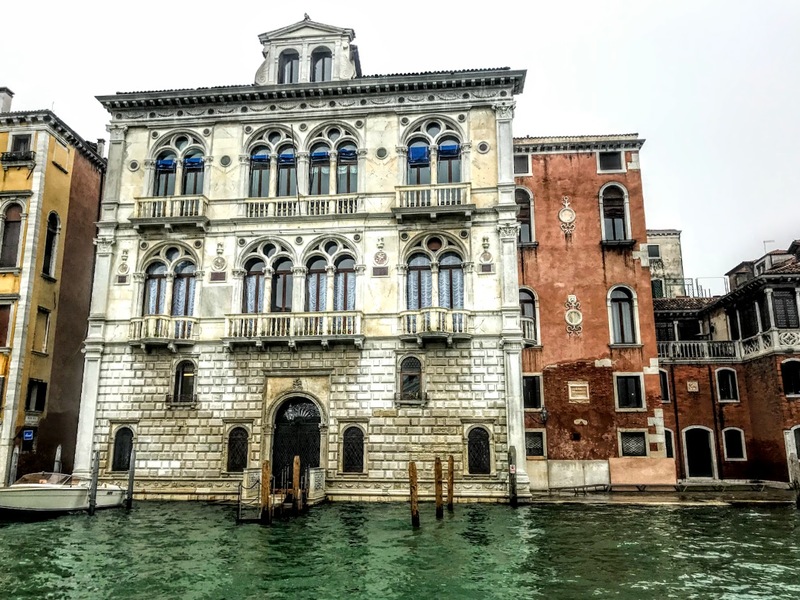 Palazzo Malipiero stands on the Grand Canal in the Campo San Samuele, across from Palazzo Grassi Exhibition Centre. The adjacent Italian-style garden with a view of the Grand Canal is a rarity in Venice that makes it more distinctive. The building is built in three parts, each closely merged with the other and representing three eras: the Byzantine style, the International Gothic style and the 17th century style. Initially built in the Byzantine style, it has seen many modifications over the centuries. The Ca’ Grande or grand palace of Saint Samuel was probably built in the early 11th century by Soranzo family, who also built the Church of San Samuele facing the land-façade of the palace. The original part of the building was probably built between the 10th and 11th centuries by Soranzo family in the Venetian-Byzantine style, seen in the large door and the quadruple windows with round arches later amalgamated into the gothic structure, seen on the San Samuele side. In the mid-14th century, the Soranzo family added the third floor or second main floor, as can be seen in the pointed arch windows. This Gothic design was perfectly amalgamated with the floor below, respecting and incorporating elements of the older construction. In the early 15th century, the Cappello family inherited this palace through marriage. 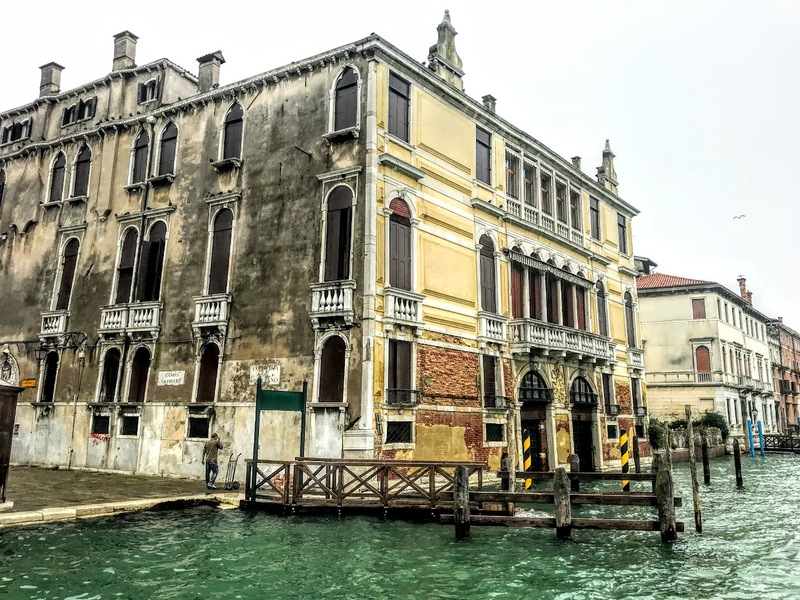 The Cappello family used the palace storehouses for their printing and publishing enterprises, and they enlarged the building in the mid-16th century, giving the Grand Canal façade its present appearance. By the mid-15th century, the Cappello family expanded the narrow palace, when the façade on the Grand Canal was widened to the dimensions seen today. When the Malipiero family moved into the palace at the turn of the 16th and 17th centuries, they gave their name to the palazzo, including a new large entrance. Giacomo Casanova lived in Palazzo Malipiero in the mid-18th century. He was just 15 when he began his social life in these very rooms, frequenting the palace when it was the home of Senator Alvise Gasparo Malipiero. One day, the senator caught Casanova with Teresa Imer, whom the Senator desired for himself, and Casanova was expelled from the Palace, and later from Venice. It was an age of the decadence, when Venice had a reputation for its gamblers and prostitutes. The fortunes of the Malipiero family suffered at this time, and the family had died out finally by 1770. The palace was deteriorating when it was bought in the 19th century by the Barnabò family, who undertook substantial restorations, returning the palace to its 18th century style. The Venetian contemporary composer Ermanno Wolf-Ferrari died in Palazzo Malipiero in 1948. The Palazzo Cavalli or Palazzo Corner Martinengo Ravà also overlooks the Grand Canal. 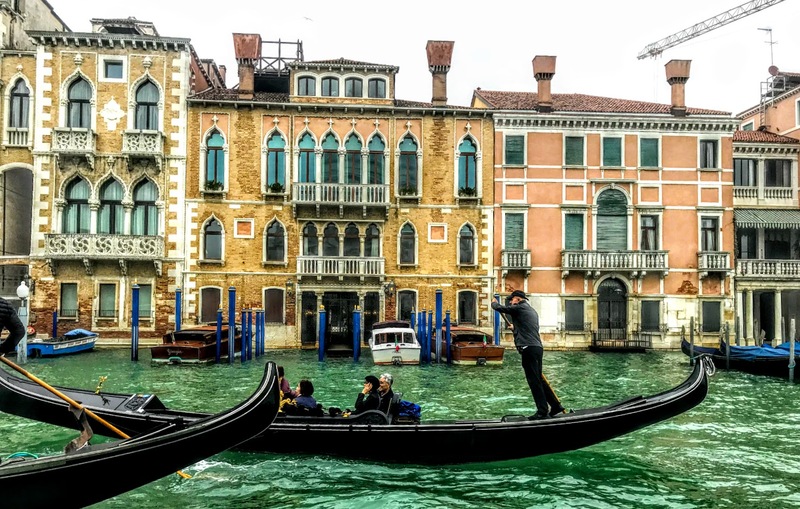 It has a three-storey façade that is typical of Venetian palaces built in the 16th century. The ground floor has two doors overlooking the the Grand Canal. The two floors above are embellished with arches and parapets, including two quatrefoil round arches with balustrades, flanked by three single side with parapets. On the side facing the street, the building retains one of the few surviving examples of an ancient wooden, terraced classical loggia, once typical of Venetian architecture. A small rooftop penthouse in the centre of the building has been built more recently. The palazzo once belonged to the Martinengo family, which gave its name to the Martinengo Bastion in Iraklion. The American writer James Fenimore Cooper (1789-1851), author of The Last of the Mohicans (1826) once lived in this palazzo in the 19th century. In The Bravo (1831), he depicts Venice as a place where a ruthless oligarchy lurks behind the mask of the ‘serene republic’. The palazzo was later transformed into a hotel before becoming the headquarters of the Istituzione Centro Maree. The Palazzo Corner Spinelli was commissioned in the late 15th century by the Lando Family. It is an outstanding renaissance palace built in 1490-1510 to designs by Mauro Codussi (1440-1504), and it became a prototype for other renaissance mansions in Venice. Mauro Codussi (1440-1504) was one of the first architects to introduce the classical style of the early renaissance in Venice to replace the prevalent Gothic style. Codussi was born near Bergamo about 1440, and he is first recorded in Venice in 1469, when he was working on the Church of San Michele in Isola on the island between Venice and Murano, where Venice now has its cemetery. Codussi’s other works include San Zaccaria, San Giovanni Crisostomo and Santa Maria Formosa, and the palaces Ca' Vendramin Calergi and Palazzo Zorzi Galeoni. The Torre dell’Orologio or Clock Tower, built in the Piazza San Marco in 1496-1499, is also attributed to him, although the clock itself is the work of father and son Gian Paolo and Gian Carlo Ranieri. In the 16th century, the new owners, the Corner family, asked Michele Sanmicheli to rebuild the interior of the Palazzo Corner Spinelli.